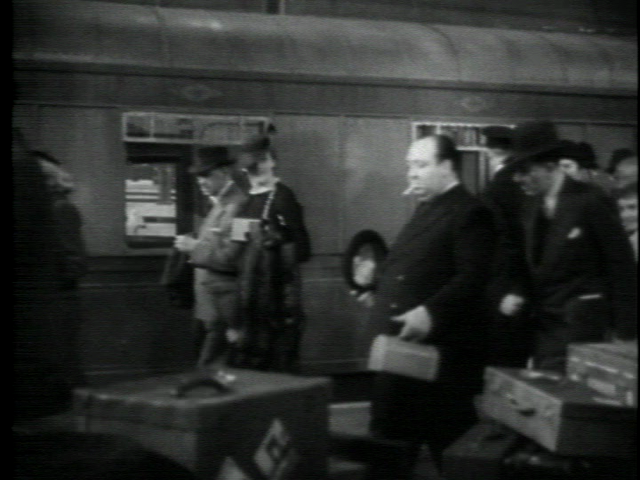 The Lady Vanishes was Alfred Hitchcock’s last film before his move to Hollywood. Featuring his trademark sense of humor and mystery, it is undeniably Hitchcock and a great movie. Admittedly, I am more familiar with Hitchcock’s later work, but The Lady Vanishes is a fantastic film that has held up tremendously well for being over 70 years old. The film takes place mostly on a train. A group of travelers are heading back to England from the fictional European country of Bandrika. As we meet the ensemble cast, Iris (played by Margaret Lockwood) and Miss Froy (May Whitty) become closely acquainted. Iris falls asleep and wakes to find Miss Froy missing but when she asks about her whereabouts, no one on the train seems to remember her ever existing. The train is the perfect setting for a film like this; it creates a sense of claustrophobia and being trapped. Some of the characters are a bit over the top, but for the most part they are believable. The mystery will certainly leave you guessing and the conclusion pays off. 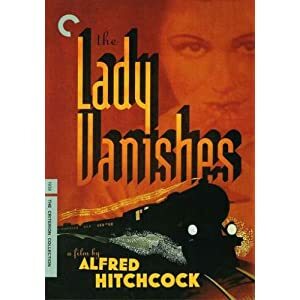 One thing to note, while The Lady Vanishes is available through the Criterion Collection (cover art pictured), I watched the version on Netflix Instant Watch. The Netflix Instant version is nowhere close to the level of quality expected from Criterion, so I’m fairly sure it’s a different mastering of the film. The picture is a bit fuzzy and the audio was a bit uneven and slightly muddy sounding at times. It doesn’t detract from the viewing experience unless you are a total purist, but it’s something to consider. The Lady Vanishes put me in the mood for more Hitchcock films, and not just his later works. Hitchcock truly was a master at his craft. The Lady Vanishes is a fun mystery and a great film to boot. I give it 4 Hitchcock cameos out of 5. This entry was posted in Criterion Collection, December, March, Months, Netflix Instant Watch and tagged alfred hitchcock, blu-ray, criterion, criterion collection, december, hitchcock, march, movie, netflix, netflix instant, netflix instant watch, the lady vanishes. Bookmark the permalink. How about REBECCA or STRANGERS ON A TRAIN next? Recently watched Strangers On A Train but have never seen Rebecca, unfortunately. Definitely will be seeing it soon, I hope! You should watch Shadow of a Doubt. One of Hitchcock’s best, although the ending annoys me a bit. Joseph Cotten is perfect. It’s a surprisingly balance of a humor and suspense. 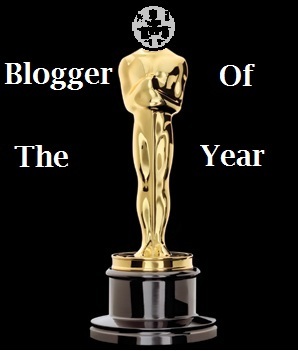 Hope you get a chance to catch it! I really enjoyed this one, seems a lot lighter then most of his work (meaning what I have seen), still nothing beats Strangers On A Train. It would be hard for me to pick a favorite of his but I’ve always had a soft spot for Rear Window. With the upcoming Hitchcock box set I’m hoping to delve even deeper into his catalog and rewatch a few of my favorites. I have the new blu-ray of 39 Steps to watch too.